There is something magical about Tania Martin’s “Pink Suitcase,” which we are excited to present June 3 at Cafe Stritch as part of Play On Words: Take Flight. Tania is originally from New Zealand and has lived most of her life in California. She earned a B.S. in geology from UC Davis, and has worked as a lab technician, geophysicist, and technical writer. She stumbled into a writer’s workshop in Alta, Utah a few years ago and has been hooked on creative writing ever since. Her focus has been on the short story and flash fiction. She co-founded The Flash Fiction Forum reading series with Lita Kurth, and she is an assistant editor for Narrative Magazine. She also helped curate the Spoken Word Lounge reading series at The San Jose Art Party festival held at the Santa Clara Fair Grounds in 2014. 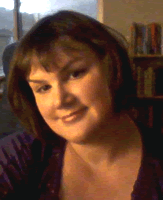 Tania’s flash fiction has been published in Sugar Mule Literary Magazine and Flash Flood’s online anthology. She recently had her poem “Smoke and Fire” published in (After) Life, Poems and Stories of the Dead, Purple Passion Press, 2015. I was delighted to hear there was another venue for story-based art in San José. My co-founder of Flash Fiction Forum and I reached out to the folks at Play On Words. Julia Halprin Jackson, one of the founders, read her wonderful flash fiction for our reading series. I jumped at the chance when she mentioned that there was a call for submissions for Play On Words. I am very excited to see my story “Pink Suitcase” performed by actors. Because it’s a character driven story, I think it will be well suited for the stage. I’m also really excited to be part of the strong writer’s community emerging in San José. Tolstoy and Austen are favorites, but lately Denis Johnson has had a big influence on me, and I just read J.D. Salinger’s Franny and Zooey for the first time and thought it brilliant. I very much admired Poet Laureate (Santa Clara County) David Perez’s poetry booth, aka “The Poetry Site,” in which he organized local poets to write poems for festival patrons on typewriters. The poetry booth is both a performance piece and the individual works of the poets. The process of the poets at work on their old fashioned typewriters, thinking and punching away at the keys, then handing over poems to curious hands was inspiring, and I thought this is a great way to expose people to poetry by making it personal. It’s the kind of collaboration I hope to see more of in San José. At Play On Words, we love to feature writers in our own backyard–San Jose writers who have an intimate knowledge of the Valley of Hearts Delight and are proud to engage in a literary conversation. When it comes to San Jose stories, Rick Alpers has quite a few up his sleeve. We’re thrilled to perform three short excerpts of his novel-in-progress, Van Tribe, which follows a cast of characters living in downtown San Jose, on June 3 at Play On Words: Take Flight. Rick is a San Jose native with family roots dating back to 1871 in central California. He graduated from San Jose State in physical education and earned a master’s degree, along with a lifetime teaching credential, from Cal Poly San Luis Obispo. He taught high school PE at Santa Teresa High for four years before going into commercial construction, where he still works. Rick writes for relaxation and the creativity it provides. His series of vignettes is part of a novel with the working title of Van Tribe. The working title “Van Tribe” came from a thought I had about all the tribes of people who have lived on the Guadalupe River, and the river’s effect of our community. The latest and on-going “state” of the river is almost forgotten by current residents, but the constant motif is the river and how it has welcomed so many. The Native Americans lived here with the Grizzly bears, the Spanish settlers raised crops and cattle here, the American settlers set up canneries to produce canned fruit for our country, the inventors have used this valley for the creative talent to communicate to the world. All this time we have used the river and its shelter, water and housing. My inspiration to write is from my father and mother. They understood that each of us is a writer. What book has had a profound effect on you? If you delve into the Play On Words archives, you’ll discover that Sacramento author Valerie Fioravanti played a key role in our origin story. That’s part of the reason why we are so excited to produce her short piece, “Hot Turkish Man,” June 3 at Cafe Stritch. 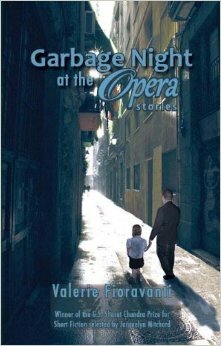 Valerie is the author of the linked story collection Garbage Night at the Opera. Her fiction and creative nonfiction have appeared in many literary journals, including North American Review, Cimarron Review, Silk Road, and Jelly Bucket. She’s the founder of Stories on Stage Sacramento (which, if you live anywhere near Sacramento, you need to go see). 2011 Chandra Prize for Short Fiction. Fulbright Fellow to Italy. Julia Halprin Jackson asked me to participate. I’ve always admired Margaret Atwood, who is unafraid to work across different literary forms and genres. My favorite reading series, which inspired me to start my own reading series in Sacramento, was New York City’s Selected Shorts, which also airs on NPR and can be downloaded via podcast. I loved hearing actors read stories with so much gusto. It felt like the best of bedtime for adults. To learn more about Valerie, visit http://valeriefioravanti.com/. Flash Fiction Meets Play On Words! If you live in San Jose and you like to write, you need to meet Lita Kurth. Lita and her colleague Tania Martin run the fabulous Flash Fiction Forum, a monthly reading series that highlights short, fantastic writing. We’re really excited to produce her short piece, “Bride,” on June 3 at Cafe Stritch. Lita (MFA Pacific Lutheran University) has had work published in Fjords Review, Brain,Child, Main Street Rag, Tikkun, NewVerseNews, Blast Furnace, eliipsis…literature and art, Compose, Redux, Lunchticket, Raven Chronicles, Tattoo Highway, Composite Arts, Verbatim Poetry, the Santa Clara Review, Vermont Literary Review, DNA, and others. She contributes to Tikkun.org/tikkundaily, TheReviewReview.net, and classism.org. My creative nonfiction (CNF) piece, “Pivot,” in the anthology, Becoming: What Makes a Woman, was nominated for a Pushcart Prize. My CNF “This is the Way We Wash the Clothes,” 2012, won the 2014 Diana Woods Memorial Award (summer-fall 2014) and appeared in Lunchticket 2014. When I was eleven, I won fourth place (and $15!) in an essay contest sponsored by the Rex Rod and Gun Club of Milwaukee. Lita and Tania are hosting the next Flash Fiction Forum TONIGHT (May 13), 7 PM, at San Jose’s Works Gallery. 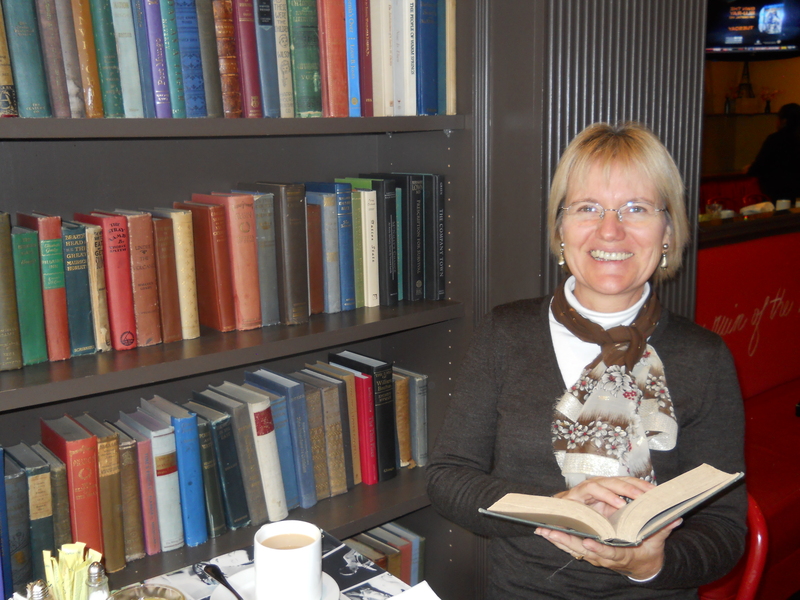 Lita also teaches the Lita Kurth Writing Workshops in her home. She also offers a four-week, online, flash fiction class in July/August, and will be teaching Intro to Creative Writing at De Anza College this fall. I heard about it from Gary Singh and thought it was fantastic. If you’re an artist in Silicon Valley, you know Gary Singh. Hell, if you’re a Play On Words fan, you know Gary. We were thrilled to produce one of his poems last winter (you can watch it here), and we’re excited to read not one but two of his newer pieces this June at Cafe Stritch. “Sirs Parchment” will be appearing in the May 2015 issue of Maudlin House and “”I Ride a Bus Out to the Suburbs in the Searing Heat” is in the Spring 2015 issue of the Scapegoat Review. 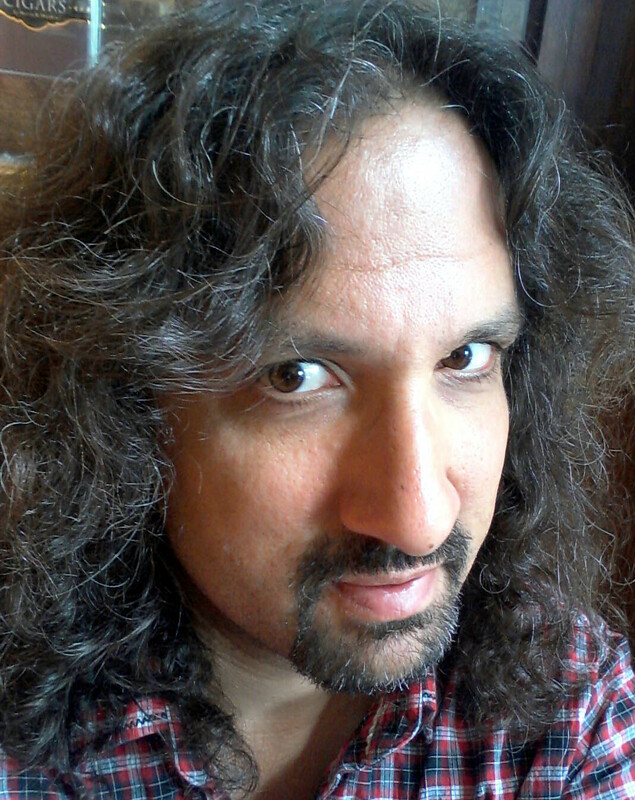 Gary Singh is an award-winning travel journalist with a music degree who publishes poetry, paints and exhibits photographs. As a scribe, he’s written nearly 1000 works including travel essays, art and music criticism, profiles, business journalism, lifestyle articles, poetry and short fiction. Every week for ten years, he’s penned the Silicon Alleys column for Metro, San Jose’s alt-weekly newspaper. He is the author of The San Jose Earthquakes: A Seismic Soccer Legacy. You can learn more about him at http://www.garysingh.info. This June we’re excited to produce “Cardio Tai Chi,” a short piece by Sarah Lyn Rogers. This is our second time working with Sarah. You can watch Tiffany Viorge’s May 2014 performance of Sarah’s beautiful piece, “Ephemera,” right here on our blog. Truth be told, we are Sarah fans. 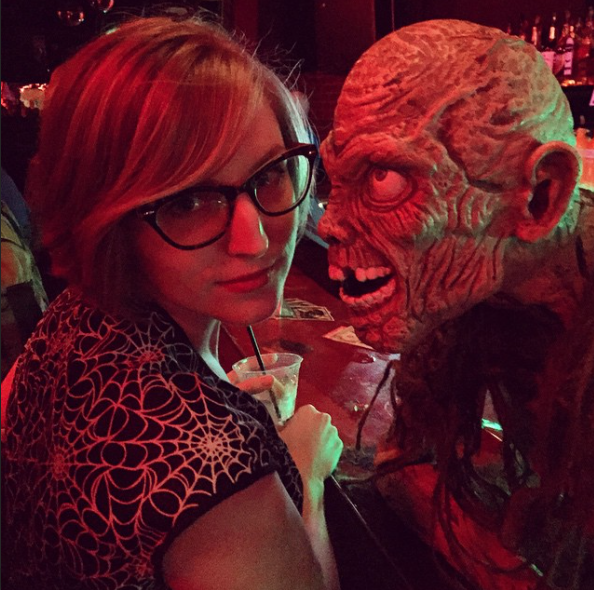 Sarah Lyn Rogers is a writer, editor, and illustrator from the San Francisco Bay Area. When Sarah’s not writing or doodling, she selects short fiction for The Rumpus, gives editorial feedback to young novelists through Society of Young Inklings, and plays drums in a chamber pop band called Elflock. For more of her work, visit http://sarahlynrogers.com. She has been awarded the James D. Phelan awards in metrical verse, free verse, and familiar essay, as well as the Academy of American Poets’ Virginia de Araujo Award. She also has a poem forthcoming in Caesura. Her short stories, essays, and poetry have been published in The Rumpus, Reed Magazine, 3Elements Review, Chanterelle’s Notebook, Iris Brown Lit Mag, Vine Leaves Literary Journal, and two anthologies from PushPen Press. Nicole Hughes, who used to be one of you Players on Words, invited me last year. Also my boyfriend knows Melinda and a couple of the actors (hi, Adam!) from his Foothill Conservatory days. The world is small. I swear no one paid me to say this, but Melinda is a wonderful performer. I really dig her pacing and inflection—they bring the pieces to life by making audience members sit with them a little longer instead of skimming over the words as we might with our eyes. Annnd Julia Halprin Jackson always has such an interesting angle in her work. I really like her monologue, “Sweet on You,” about mistaking an iPod for an insulin pump on a man who might be a kindred spirit. I don’t know that this fundamentally affected me, or what that would say about me, but I got to see a production of August: Osage County at Oregon Shakespeare festival a few years back and it was my favorite play experience. I loved Barbara, the oldest daughter character, trying to hold everything together amid the depth and chaos of family dynamics. Introducing playwright Mara Sherman! Mara Sherman’s short play “Stage Kiss” is funny, sweet, and, ultimately, exactly the kind of play we at Play On Words like to produce. Join us on June 3 at Cafe Stritch to see it all in person. 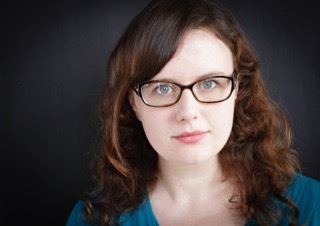 Mara is a playwright, director, and actor currently based in Northern Virginia. Her plays have been produced as part of student play festivals at both UC Santa Cruz and Mary Baldwin College. She recently directed a minimalist six – actor Romeo & Juliet that toured to various Virginia colleges, high schools, and theaters. Favorite acting roles include Dionyza in Shakespeare’s Pericles: Prince of Tyre, and Lady Kix in Thomas Middleton’s A Chaste Maid in Cheapside. 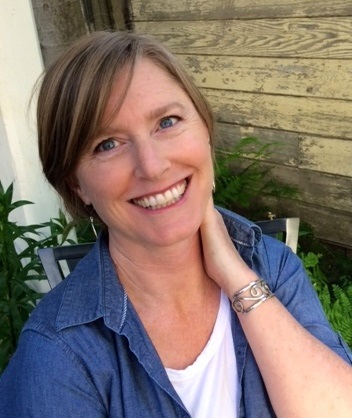 She has a BA in Literature from UC Santa Cruz and a master’s degree in Shakespeare and Performance from Mary Baldwin College. The intersection of art and literature, of writing and performance, is totally my jam. I love plays that are based on poems or short stories or novels or scripture. I love the idea of written work being inspired by live performance. When it really comes down to it I am a big ole nerd and I liked the idea of getting to play around with other nerds. Paula Vogel, Sarah Ruhl, Mary Zimmerman, Lorraine Hansberry, Thomas Middleton, (everyone drop what you are doing right now and go read Revenger’s Tragedy) and of course, Tegan and Sarah. The best piece of theater I have ever seen was the world premiere of Luis Alfaro’s Bruja at the Magic Theater, about two years ago. I love the Greeks, especially Euripedes and especially Medea, and it was pure bliss to see one of my favorite plays adapted so successfully for the modern stage. It’s weird to call a play about a woman who kills her children “joyful” but I left the theater absolutely brimming with happiness. We are thrilled to produce “Swimming Lessons,” a short piece by local writer Pratibha Kelapure, at Play On Words: Take Flight, made possible through the generosity of the The John S. and James L. Knight Foundation, in partnership with the San Jose Downtown Association, and our partnership with San Jose’s Cafe Stritch. 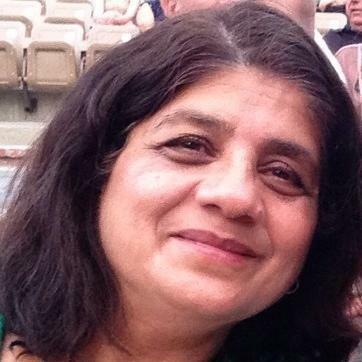 Pratibha is a humble writer, editor, literary coach, and performer. She is the founding editor of The Literary Nest journal. In her previous life, she served the Silicon Valley as a VLSI Software Engineer. Other than that she is a wife, mother, and a community volunteer. I am a fan of all the performing arts. Inspiration comes from unexpected sources. I discover new writers and performers every day. I am probably showing my age here, but The Mill on the Floss by George Eliot had a huge effect on me. When I was 10, I saw a local performance of Kathak Dance that stuck with me and sparked my interest in the performing arts.